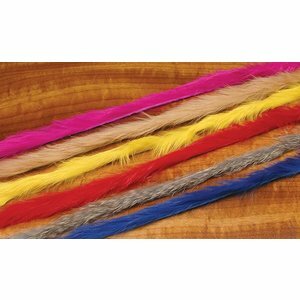 Tiger Barred Rabbit Strips, Great looking triple dyed 3-tone process with terrific color. Available in two sizes and colors. 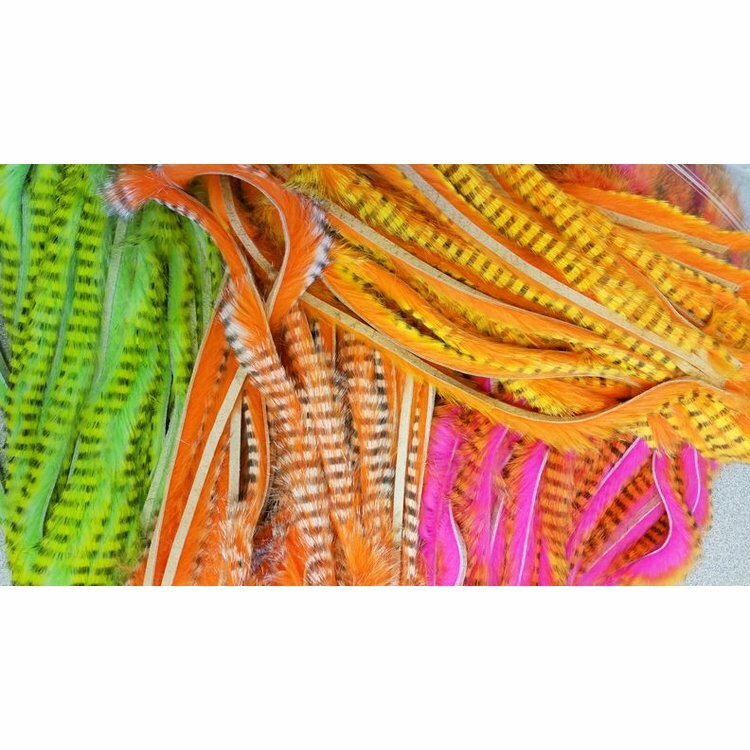 Size: * Magnum 1/4" 1/8"
Great looking triple dyed 3-tone process with terrific color and a black stripe across tips of hairs. 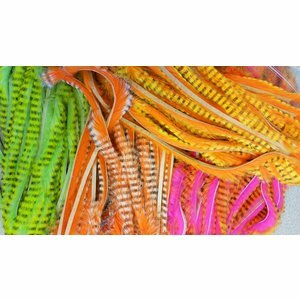 Use these as tails and backs on fresh and saltwater baitfish patterns. Available in 1/8" and 1/4" Magnum sizes and colors orange/black/yellow, orange/black/tan, blue/black/white or green/black/chartreuse. Please specify size and color. Rabbit Skin, Beautiful tanned hides and guaranteed the best quality available. 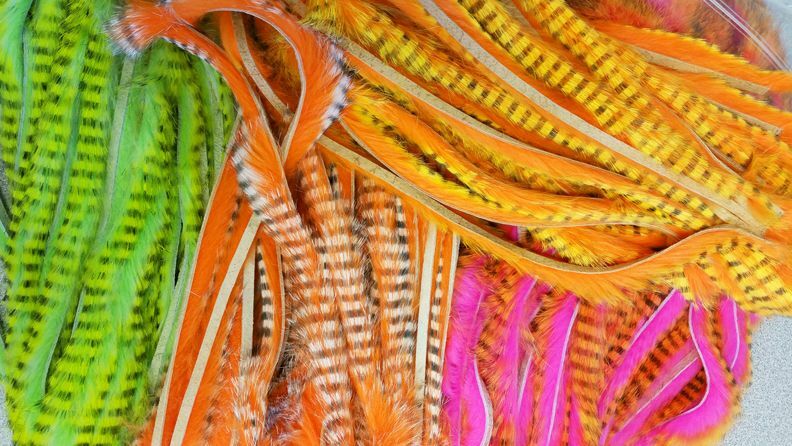 Beautiful, thick & tanned strips, perfect for large streamers, sculpin patterns & salt flies. Beautiful, thick and tanned. For zonker, leech and saltwater flies. Dyed 2-tone process with a great mottling effect.